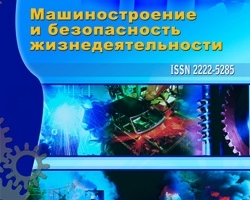 The paper deals with the current situation in labour protection management system for harmful industrial production of the Russian Federation and the main trends within the working conditions change in industry. Statistical data on the proportion of people employed in harmful and dangerous working conditions in the total number of employees is given as well. The reasons for this trend and inconsistency of the existing Russian legislation in the sphere of labour protection to the current economic model are considered, as well as the possibility of improving the labour protection management system based on the transition from compensation management model to the prediction one, and evaluating the likelihood of dangerous situations during the manufacturing process at the design stage. The concept of acceptable or tolerable risk is considered to be one of the most modern ways to achieve the desired security level. Its fundamentals are given. The definitions of risk and its main types are considered. Keywords: labour protection management, risk, the concept of acceptable risk, labour conditions, manufacturing. Grafkina A.Y. Ohrana truda i proizvodstvennaja bezopasnost’ [Labor protection and production safety]. – Moscow: Prospect, 2009. – 424 . Khokhlov N.V. Upravlenie riskom [Risk management]. – Moscow: Unity-Dana, 2001. – 239 p.
Bulinskaya E.V. Teorija riska i perestrahovanie [The theory of risk and reinsurance]. Part 1. – Moscow: Moscow state University, 2001. – 160 p.
№2 (20) 2014, The concept of acceptable (tolerable) risk in labour protection management, Zhuravleva M.A.